Some weeks ago I started the Last Dance on the Beach blanket. 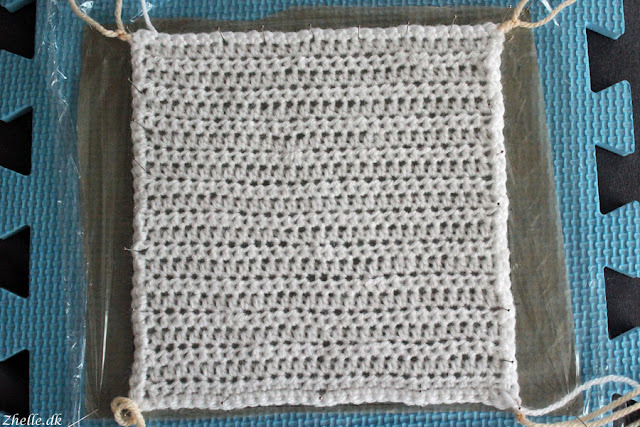 It is a crochet-a-long (CAL) which was published over three months starting in April and ending in July. They recommend doing a gauge swatch as the first thing, so that is where I started. I am very happy I did, because it turned out very quickly that I need half a mm hook size bigger than recommended. So where the pattern is for a 4 mm crochet hook, I need to use a 4.5 mm crochet hook etc. The hook I started out with is a metal hook that I think I inherited from my grandma. It split the yarn quite easily and I didn't really like crocheting with it. I went into the city and got myself a Clover Soft Touch crochet hook which I have heard very good things about. Having used it for a bit now, I have to say that it is a lovely hook, and it is probably not my last Clover Soft Touch hook! 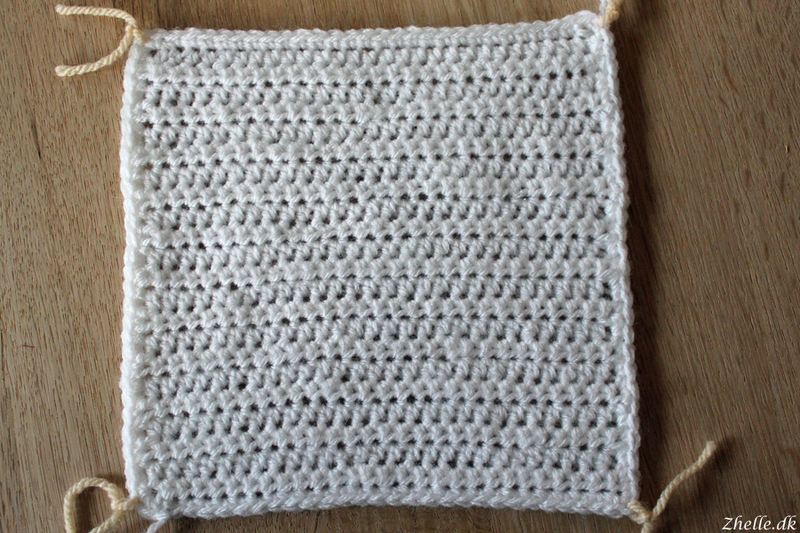 My gauge swatch isn't the prettiest thing in the world, but it is exactly 18 cm squared as it should be according to the pattern.